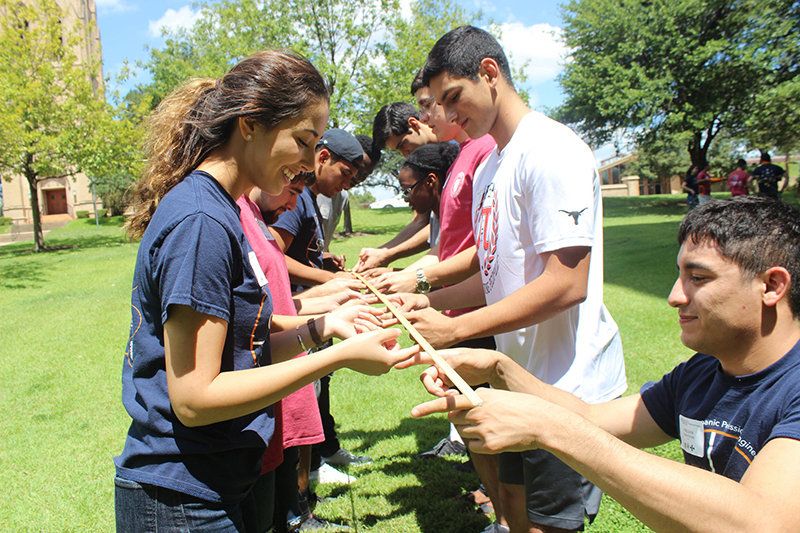 Established in 1970 by Texas Engineering, the Equal Opportunity in Engineering Program (EOE) promotes the recruitment and academic development of historically underrepresented populations of students. To cultivate an inclusive network at the Cockrell School of Engineering that reflects the diversity of the population within the state of Texas. EOE initiatives such as the Fall Kick-Off, First Year Interest Groups, and Engineering Peer Leaders help students establish a strong academic foundation and promote the formation of a peer support network. EOE also provides students with access to tutoring, undergraduate research opportunities and professional development workshops. In partnership with Pi Sigma Pi Minority Academic Engineering Society, the National Society of Black Engineers and the Society of Hispanic Professional Engineers, EOE builds a network that makes it easy for engineering students to meet each other, form study groups and develop friendships that last well after graduation.